We can help you whether your visit is to help maintain your teeth, improve your smile or if you have a dental emergency. We welcome new NHS and private patients all year round and offer a full range of NHS and cosmetic dental treatments for the entire family. We accept both fee paying patients and patients that are exempt from NHS charges. If you are a fee paying patient, we provide you with a detailed estimate of costs before commencement of any treatment. We have a number of dentists available to provide your dental treatment. 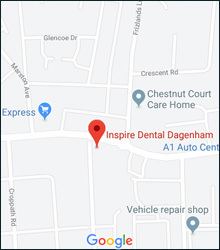 We are able to offer you a choice of male or female dentists, or you can see a dentist that has been recommended to you. We have a number of appointment choices to suit you best; daytime and evening. We offer emergency appointments to patients in pain, where possible on the same day. Our opening hours have been adapted taking our patients views into consideration. Our patients can be assured that when we are closed there is out of hour’s arrangements available to them if they have an emergency. Our receptionists are always on hand to help you whether that is over the telephone or at the practice, they will endeavour to help you arrange your appointments around your lifestyle. As well as English, our staff speak other languages. We will provide you with a complete treatment plan covering all your dental needs to your personal requirements. We offer competitive prices for our private cosmetic treatments. Should you wish to spread the cost of your treatment we offer finance to make it easier for you to pay (terms and conditions apply) We endeavour to use high quality materials, the latest equipment and technology to provide you with a quality service. We insist upon a high level of cross infection control standards to ensure the safest possible environment for you to be treated in. During your treatment, single use items are used where possible, all other items undergo a strict cleaning and sterilisation process. We follow all the latest guidelines on clinical excellence and patient safety. Our team is friendly, trustworthy and committed to developing their skills to ensure we offer you the best possible service. Our team of Dentists, Orthodontists, Hygienists and Dental Care Professionals adhere to the rules governing the profession under strict guidance from the General Dental Council (GDC) "Standards for Dental Professionals".